We have a new Forza Racing World Champion! Huge congratulations go to the top three: William Mitch, Noble b0x and, your 2018 champion, G2 Laige! Last weekend, this ultimate trio of speed battled it out at the Gfinity eSports Arena in London to claim the top prize, along with 21 other drivers who qualified for the final ForzaRC event of the year. What an event it was. For just the third time this season, drivers came from all over the world to compete live in studio. From the favorites who ended up on the podium, to underdogs like TX3 Wesley, FRF Handicap, and Veloce Virus (each of whom had their moment in the spotlight over the course of the weekend), the action was thrilling from flag to flag. In the end, the battles on track came down to b0x and Laige, who won the Series 1 and Series 2 playoff events, respectively. While it seemed that b0x might be the only driver with the pace to catch the Frenchman, Laige proved to be too much, winning in dominating fashion with an unforgettable combination of pure pace and a cool head. Laige once again adds to his legacy as the greatest driver in ForzaRC history, while b0x and Mitch look ahead with their heads held high. The ForzaRC year started in February with the Pre-Season Invitational and it’s been an amazing experience to watch the journey unfold for the drivers. A long season, yes, but also an immensely rewarding one. Congratulations to all the drivers and thank you to everyone who watched this year’s ForzaRC events! 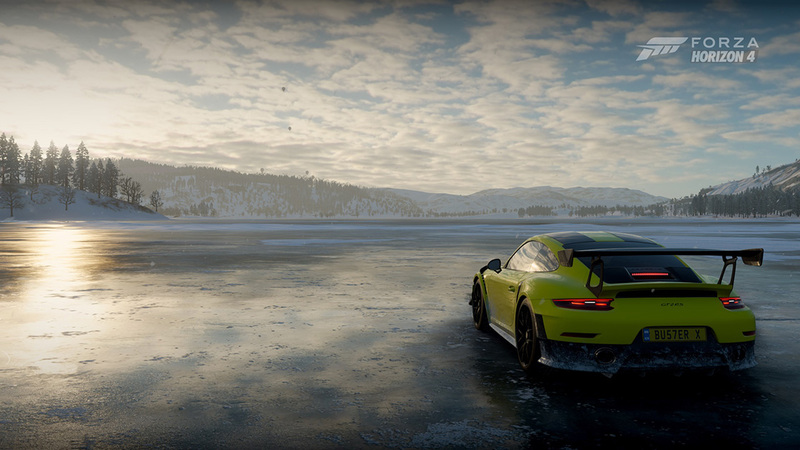 Playground released the latest update for Forza Horizon 4 this week and, among the improvements and fixes, comes two hotly anticipated features in the game. Route Creator, first showed off at our Xbox Launch event at Goodwood, has arrived, and we’ve already seen some amazing creations coming out – including folks creating intense rally courses, crazy convoluted point-to-point events, and at least one replica of the Nürburgring Nordschleife. How long before all of the world’s most famous tracks find their way etched into the British countryside in the game? 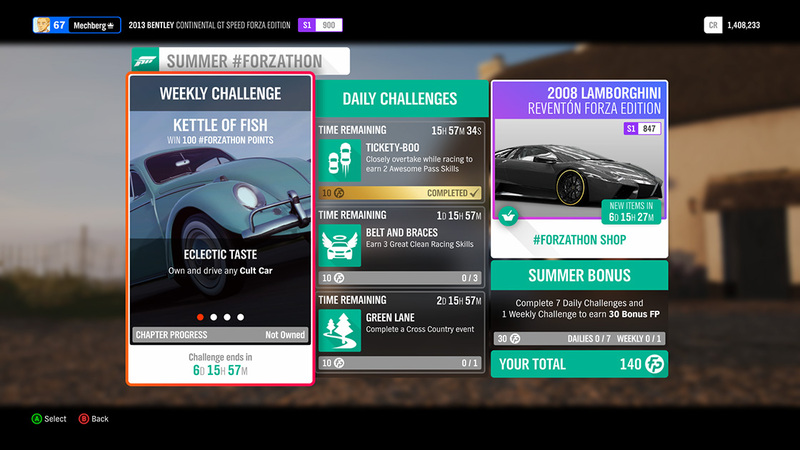 In addition to the Route Creator, this week’s Forza Horizon 4 update also features a new Horizon Story, “British Racing Green.” Here, you’ll be driving some of the best cars in British automotive history as part of a documentary series on the history of British cars. 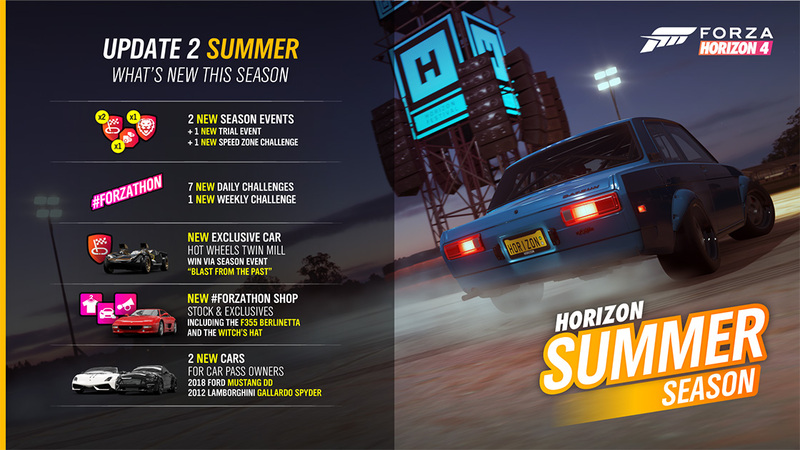 Naturally these won’t be casual Sunday drives – after all, this is Horizon! From the best of Aston Martin to off-roaders like Land Rover and Bowler, there’s so much to explore. 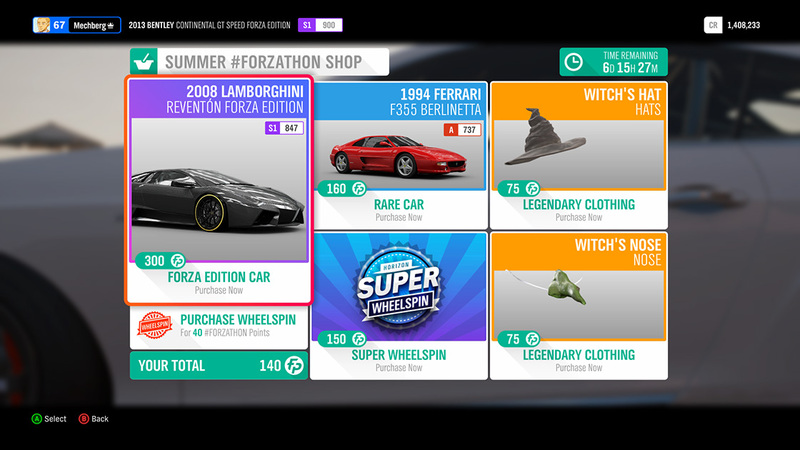 For more on the latest update, check out the Release Notes on the Forza Support site. Drift Bounty Hunter – Ends Oct. 31! Drifters, there’s still time to get your best score on the leaderboard in our inaugural Drift Bounty Hunter event in Forza Motorsport 7. This event shuts down on October 31 and our crew of bounties will be setting their final scores no later than October 30, giving the community a few spare hours to try and beat the targets and earn awesome prizes along the way. Look for more information on our November Bounty Hunter event very soon. Forza Live from SEMA 2018! The 2018 Specialty Equipment Market Association show has begun, bringing with it automotive exhibitors (and a host of amazing custom cars) from all over the world. As always, SEMA is happening in Las Vegas and, this year, Forza is going to be a part of the fun. Join us on Monday, October 29 as Johniwanna and Co Pilot broadcast live from the Hoonigan Yard outside the halls of the show. 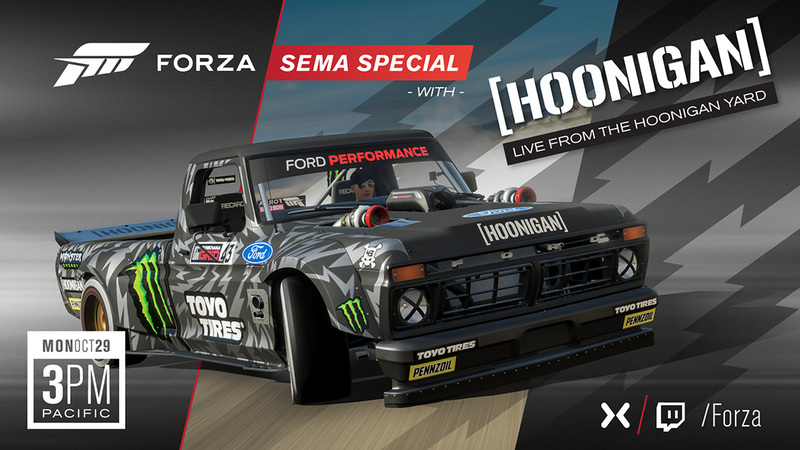 In addition to playing Forza, they’ll be joined by some of the guys from Hoonigans as well as some special surprise guests. You won’t want to miss this special inside look at the fun from SEMA and it all kicks off at 3 p.m. Pacific on the official Forza Mixer and Twitch channels. Be there! Speaking of big shows, the next episode of “Forza Monthly” is coming on November 5 just ahead of our next update for Forza Motorsport 7. As always we’ll be joined by special guests from around the world of Forza and we’ll be diving deep into the latest news for Forza Horizon 4, the Forza Racing Championship, and Forza Motorsport 7. Look for the show on our Mixer and Twitch channel beginning at 1 p.m. Pacific on Monday. We’ll be putting a bow on all the week’s news in our #ForzaFriday stream, which begins today at 3 p.m. Pacific. 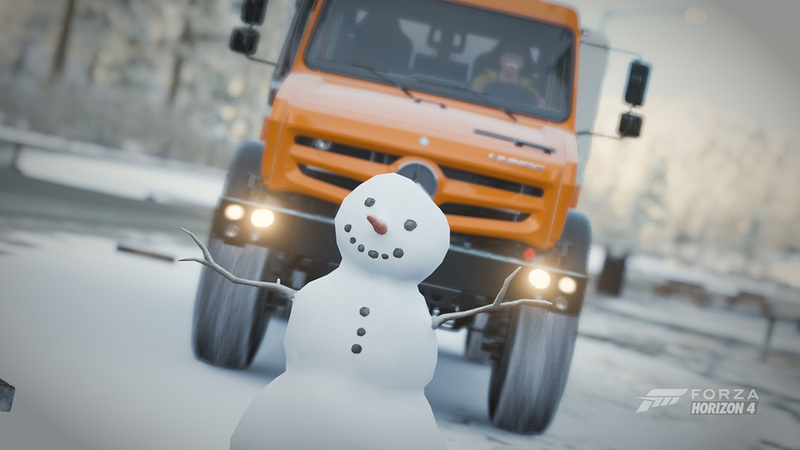 Join us as we hit some Forza Horizon 4 action before heading into Forza Motorsport 7 and our traditional Random Ring Race. See you then!